How to make the most of a Nature Walk! Do you feel inspired when in nature with your child? Taking a nature walk is such a fantastic activity to do with a child, it's free and the learning opportunities are endless. The Montessori theory is that as soon as the child can walk we should allow them to do so as much as possible. It's freedom of movement. Once the child starts walking all Montessori parents are encouraged to take them on nature walks. For a very young child this could be down the driveway. As the child gets older and more capable the nature walks can get longer. The main element of a Montessori nature walk is that the child is to be allowed to walk at their own pace, to be able to stop and admire what and when they like. This can be difficult for parents however setting aside as much time for this as possible is recommended. Maria Montessori said the child should be able to go for walks like this and be guided by what appeals to them, to pass from one discovery to another. If you are taking a nature walk frequently you may want to mix it up a little. Here are a few ways we make the most of our nature walks. Make a nature walk a part of everyday life if possible or a part of a routine or rhythm. Take a familiar route, this can allow the child to become familiar with their local environment, they can observe the same animals, trees in different seasons. Take a listening walk. You don't have to or want to be talking to your child the entire time. Try to listen to the sounds of your neighbourhood and encourage your child to do to. Use all senses, take some time to breathe in deeply and note any neighbourhood smells. On occasion go somewhere beautiful. Take a walk through the local botanic gardens or to a national park. Become familiar with the local flora and fauna. It helps to know the basic species of birds and trees, you can then pass this knowledge on to your child. For a young child this will help not only to expand their knowledge of their environment but it will also help to expand their vocabulary. Introduce older children to a local guide (I love the Fandex concept for younger children). The more localised the better. Giving a child a guide of all birds in America is a bit much but there may be a local guide for your area. Choose the guide you think will interest your child. We currently have an insect guide for insects in our city and my children love it. They try to identity everything from bees to ants. There are all sorts of guides to explore for things like butterflies, birds, leaves, spiders and trees. Once the child takes an interest in picking up leaves, feathers, stones, seedpods or small sticks or natural treasures and wants to bring them home, encourage the child to take a small pouch or shoulder bag. Be careful not to be destructive to the local environment, be careful of poisonous plants and try not to pick living flowers. We want to teach our children to be respectful of the natural environment. The small collection of items bought home can contribute to a nature table/shelf/tray. These items can be studied further at home. Observe how it changes over the seasons. Bring along a magnifying glass or binoculars. Once the child is familiar with the the use of binoculars or a magnifying glass, consider taking these on a nature walk. While not necessary they allow the child to make observations they couldn't otherwise. Take a night walk or an early morning walk. By going into the neighbourhood and nature at different times of the day it's likely the child will make different observations. Walk in all weather conditions. While dressing appropriately a nature walk while it is raining will be a very different experience to walking on a sunny day or perhaps while snowing! Take a camera and allow the child to make some observations through photographs. A polaroid camera is perfect for this purpose or perhaps an old digital camera if the child is using it frequently. If you hear distinctive noises you could consider making some sound recordings and replaying them back at home. Take some paints or pencils and start nature journalling. This doesn't have to be a formal process, perhaps begin by picking a nice place to sit, perhaps have a picnic and take some time and encourage the child to observe and record their surroundings. Pay attention to what interests your child. A child particularly interested in butterflies may like a butterfly book, finding our what interests your child can be useful in many ways. Take a friend or family member. A young child may like to take a Grandparent or friend on a nature walk and tell them all about their neighbourhood. Nature walks are not all about nature. The child may find some road works or a construction site to observe. It may be a good way to get to know people your neighbourhood, local buildings and landmarks. Most of all nature walks should be regular and enjoyable! If you would like to share a Montessori inspired activity or environment please feel free to join our weekly Montessori at Home link up below. Where to buy Montessori mops, brooms and carpet sweepers. Where do you buy Montessori, child size mops, brooms and carpet sweepers? When I first started Montessori in the home with my children I would see lots of examples and see pictures in blogs but my question always was 'where do you buy all these things?'. Here it is, a really good list of options and ideas for mops, brooms, dustpans and carpet sweepers. This top list is for suppliers in the US and the bottom list is for suppliers in Australia. Why would we want a child sized mop or broom? Young toddlers love to imitate and work along side us in the home. Rather than pretend we can give the child real materials that actually work. As the child gets older it's important that they have access to their own materials so they can easily and effectively clean up a spill or a breakage. We want the materials in our home to be of a good quality. With mops and brooms I recommend going with a product that is able to hold up to some use and that will work well. We want real mops and brooms, not toy ones. Children are also drawn to beautiful things so we want the materials in our home to be as beautiful as possible. Is it possible to have a beautiful broom? I think so! We have the Small Broom by Michael Olaf, it's small and ideal for toddlers to preschoolers. Of course there are some really cute brooms on Etsy, check out broomsforsale, Skagit Broom Works (gorgeous!). I have mentioned the lobby sweeper above, I have seen this being effectively used in a Cycle One (3-6yrs) classroom. The broom is small enough for the child to use and they can easily sweep to the pan which also has a long handle. The carpet sweeper mentioned here is the same model that we have and use at home. It is a standard carpet sweeper and we have removed the middle section of the handle (the handle parts screw together, it's easy not to include one piece) and it is child height - perfect! We sell a child's size mop at HWM Shop here. There are some micro fibre cloth mops around (like this one) with an adjustable handle, being able to be easily shortened for the child. You can see some the mops and brooms we have in action here and our cleaning station here. What can I do with my two year old? Do you have a two year old? Are you wondering what you can do with them, what activities might be suitable for this age group? Here are some of the Montessori activities I was doing with my child when he was two. Cut an egg (with a knife). Use a whisk (shell peas, peal a mandarin and cut cheese). Wash the table (and so much more practical life work). Use a pipette or dropper to transfer water. Work hard in the kitchen with apple slicing. Want more ideas? One of my most popular posts is Art Activities to Rotate at Two. You can read all of the posts for Otis at two years here. If you are looking for gift ideas my gift guide for two year olds is here. I'm a total toddler person and really loved working with my child during this age. I hope you enjoy! Natural and Organic Toothpastes for Children. When my first child was young we bought and used one of most popular brands of toothpaste from the supermarket. It was the same brand I used as a child. I didn't think anything of it. But then I realised he was swallowing so much of it. Our water was already fluoridated, did he need more fluoride in his system? It made me look around for more natural toothpastes (and more eco friendly toothbrushes). My first discovery was Jack N' Jill Toothpaste which is still today my children's favourite and for years my children have used their compostable toothbrushes. However this toothpaste isn't stocked locally (since we moved) and while I've been ordering it online it has become a bit of a hassle. So I looked at what my local health food and organic shops have on offer and thought it would be really fun to give them to my kids to try and see what comes out on top!! Yes, this is really what the boy's bathroom looks like right now. Yes, there are eleven toothpastes on offer! However there were three clear winners and one big winner from me for an adult's toothpaste. Some of these are organic and some aren't. In theory I would choose an organic toothpaste over non organic however taste and texture really comes first. For my children taste came first. So many of these taste like children's cough medicine, as in too heavily artificially flavoured. It was also clear what flavours my kids found familiar - they do not like minty, berry toothpaste but like the banana and citrus flavours. Again in theory I would prefer an Australian made toothpaste however my favourite is a US brand. Some of these are more like gels, some are pastes, some use Xylitol as an active ingredient. Some have ingredients which may cause concern. I have referenced the Environmental Working Group (EWG) rating however many of the brands we are using have not been rated. The best thing is to check the ingredients list and look up any areas of concern. This table below was collated to the best of my knowledge, please do your own research, I really want to encourage parents to read the labels and research the ingredients in their children's toothpaste. My children's clear favourite was the familiar Jack N' Jill Natural Toothpaste in Banana. However they also gave a big thumbs up to the Children's Organic Toothpaste by Baby Organics and the Earthpaste Natural Toothpaste in Lemon. One of the reasons we tried the Earthpaste was due to it's excellent reviews. It was one I really wanted to try. It is based on clay so it's a totally different look and texture to other toothpastes. It is a little unusual but makes my teeth feel completely clean. As mentioned above, I really encourage all parents to research what is in their children's toothpaste and determine which products are best for them. Most of all - make an informed decision! Has anyone else converted to Earthpaste? Please tell me your child's favourite natural toothpaste. Clothes for your Montessori toddler - so they can get dressed independently and quickly! Getting children dressed in the morning can be a huge stress. We all want our children to dress themselves, look presentable and do it quickly! I've written before about not offering too much choice. Keep good/best clothes out of reach unless this is the occasion they are dressing for. For some children especially toddlers just giving a choice of two to three outfits might be enough. Yes, clothing needs to be super accessible and the dressing area needs to be kept tidy. But why do we want our children to dress themselves? "Children who feel respected and competent develop a far greater sense of emotional well-being". Tim Seldin in How to Raise and Amazing Child the Montessori Way. Allowing your child to dress themselves teaches them life skills, it can help to develop a sense of calm, concentration, cooperation, self discipline and self reliance. It can help them with body awareness, fine motor skills, it can help them to break down a task. Mastering a step such as putting on shoes can lead to a huge sense of accomplishment and self satisfaction. Having children who will dress themselves (or attempt to as much as possible) also sets the tone for other areas of their life. We want strong, capable children. We need to empower them, give them the skills and confidence to attempt and complete tasks to become independent, engaged and considerate members of our community. So what are we looking for in clothing? Comfort first. Children have so much going on their day, they are busy. They are busy moving and working and playing. They do not need to be distracted or limited by their clothing. I love kids in denim but it needs to be a soft denim. Clothing needs to fit and not be too tight. I think all kids clothing needs to be comfortable enough to sleep in. Clothing with an elastic waist, in cottons, that are breathable are often more comfortable. Think seriously about fabric and how it feels, does it feel nice, soft, comfortable or hard, stiff and scratchy. Comfort also involves dressing to the season and this can be difficult with toddlers who may want to wear short sleeves when it is freezing. In this case I do not believe in natural consequences, I would not allow my child to go cold just to teach them a lesson. If it is a problem have ongoing discussions about seasons, how animals survive the winters, about how seasons change and how our clothing adapts. Children must be able to sit comfortably on the floor, climb a tree, jump or hop or run with strong and flexible shoes. Do not allow the child's clothing to restrict them in work or play. Clothing must be easy to put on and take off. Oh why are there small buttons on toddler clothing? While there is a time and place for a child to learn how to button a shirt the level of difficulty must match the skill of the child. Do not burden the child, we want to set the child up for dressing success. Remove all barriers and obstacles so self dressing is as easy as possible. Elastic waists are the way to go with pants and skirts. Boots that pull on, shoes with elastic straps or velcro. Again there is a time and place to learn how to tie laces but it's typically not in toddlerhood. The more independently, without struggle it is for the child to dress themselves the easier it will be, their confidence will increase and the quicker it will be. Consider the ease of the clothing for toileting. Even if the child isn't at this stage yet, they might be soon! Easy to pull down and pull up is essential. Dresses can definitely work for a toilet learning toddler however keep in mind the style/length. Once toddlers start toileting often they need to do so quickly and do not want any delay with difficult clothing. Where possible leave zippers or snap buttons for an older child. For a very young child take it step by step depending on their skill level. Never help a child with a task at which they feel they can succeed. If your child can put their socks on give them time and space to do so. Give the child the least amount of help as necessary. Lots of mix and match. If you want your child to 100% dress themselves you want to make sure there are not too many pieces of clothing that clash. You need to feel comfortable with their choice, asking the child to change their clothes because you don't like what they have picked out can be disempowering. I feel we can give our children lots of advice on clothing such as what is appropriate for the weather or occasion but I don't think it's our place to give them advice on colours or patterns - this is individual choice we need to respect. Inject personality. It's not so much about Montessori it's just my parenting vibe that I cannot tolerate clothing with slogans or that are brash. There is plenty of clothing around that will allow the child to dress with personality without complying with popular culture or stereotypical beliefs. However this clothing can be hard to find depending on location and budget. Clothing needs to be appropriate to the occasion however allowing the child to inject their personality can help them to express themselves and feel more comfortable within themselves. I also don't believe in dressing to a gender particularly with colour. It goes without saying that consideration needs to be given to the ethical questions around the making of the fabrics and clothes. These will be personal and based on your values however I believe the Montessori view would be to respect the earth and the makers of the clothes. What happens if your child gets dressed and puts their shirt on backwards, do you correct them? I say it depends. Due to health and comfort I will always correct my children if their shoes are on the wrong feet. I will sit down with the child and ask them if their shoes feel ok and hope that they will notice and pick up on it themselves and self correct. If the clothing is on backwards but it really doesn't make much of a difference comfort wise it's likely I will let it go. If it clearly looks uncomfortable I will mention it, perhaps stand with them in front of the mirror and see if they can find their tag (if it has a tag) which is often an indicator that the clothing is on the wrong way and allow them to correct themselves. Sara has written a couple of times about clothes and I enjoyed this discussion about freedom with responsibility relevant to self dressing. Children need practice, time and space to get dressed. Show your child that you believe in them, make self dressing a routine, an expectation that builds over time. You might also enjoy my articles on Getting dressed - how we do it! and Getting dressed at Two. My most recent post on the children's wardrobe and organisation is here. You know I am really passionate about children's environments. Specifically Montessori orientated environments in the home. I honestly believe no matter where you live, the size of your house or which country you live in - you can create a Montessori home, you can create Montessori inspired environments. What do I think are essential elements of Montessori inspired home environments? Warmth. Baskets. Flowers. Children. Love. Be unique, be interesting, be creative! Please feel free to share your Montessori inspired environment or activity and join in our Montessori at Home link-up below. Have a beautiful weekend. Fun Headphones and our Favourite CDs. Are you looking for new CDs or music to enjoy with your children? Today I wanted to share with you some of our favourite CDs for children and I also have five sets of headphones for a giveaway (we have also been provided with one set of the iFrogz Little Rockers Headphones for the purposes of review). We spend heaps of time in the car and it's nice to have some fun music to put on. We often just chat or play games but if someone isn't well of if we are all tired music can be uplifting and fun. Two of our favourites CDs are music. We love the cheeky nature of Beethoven's Wig. Sing Along Symphonies and I also seriously love my children getting some exposure and knowledge of classical music. We also love the Putumayo Kids Presents CDs, they are really fun and interesting, they are real music, we have a few of their CDs but enjoy Putumayo Kids Presents World Sing Along the most (we have Putumayo New Orleans Christmas - which is a festive alternative to Christmas jingles). Our most loved CD has really changed how we live. We have long enjoyed massage and yoga and have dabbled in guided meditation. However Enchanted Mediations for Kids (Calm for Kids) has made a visible impact on my children. It is instant calm. I hope over time it will assist my children in being able to completely relax and somewhat meditate on their own, however for now this CD has been real and practical for us to reach a level of inner peace. We also have a couple of Audio books which we recommend, I hope to find more that are just as enriching. We've had a few hits and misses with audio books so I'd love to hear any suggestions for the preschool age. Both of my children enjoy CDs not only in the car but also at home. To try to keep the peace my children often use headphones. Otis was obviously keen to give these a go and he uses these headphones without hesitation. The iFrogz Little Rockers Headphones have a few features which I really like (and puts them above our other headphones), for young children like Otis who might find headphones uncomfortable, the headpiece is covered in a very soft fabric, the ear area is covered in the same super soft fabric is really well padded. Another feature I like is the cord only comes from one ear piece. Our other headphones have cords from both ear pieces that join in the middle. The iFrogz Little Rockers Headphones are much less likely to get tangled and are great for the child who likes to jump or dance around. The sound limiter is included in the headphones too, this makes them super safe - there is no chance of the child's ears being blasted. The built-in sound limiter is set at 85 decibels. As expected the headphones are adjustable, the sound is clear and the headphones sit comfortably on the head. I didn't get a picture but I think the packaging is really cute and these headphone would be perfect for gift giving. Otis is wearing the Lion design however the headphones also come in another five designs including Princess, Monster, Fox, Monkey and Puppy! In Australia the iFrogz Little Rockers Headphones are available in Big W stores, RRP is $24.95. If you are in the US you can find the iFrogz Little Rockers Headphones here. I have five (5) sets of iFrogz Little Rockers Headphones in the Lion design (as shown above) to give-away!! To enter please leave a comment below (at the bottom of this blog post) with one or some of your favourite CDs or audio book suggestions for children. Available to Australian residents only. Please only one entry per email address. Entries closes 8pm AEST (Australian Eastern Standard Time), Sunday 25th October 2015. Even if you are outside of Australia I would still love to hear some of your suggestions. Edited 25 October: Thank you for all of your wonderful suggestions! Comments have now closed. Teach me about my body. Learning about skeletons! Teach me about my body. Kids just seem to soak up information about their own bodies. From which foods are healthy, blood and their circulatory system to their bones and skeleton. We have the first discoveries book The Body which is fantastic for little ones to get a grasp of these topics. Today I wanted to look at some of the fun materials about the human skeleton that are suitable for toddlers and preschoolers. Australia: 1. Skeleton Floor Puzzle - 15 Pieces (currently on sale 20% discount only $47.99), 2. Tuzzles Skeleton Puzzle, 3, Melissa and Doug Human Body Magnetic Dress Up, 4. Mini Skeleton, 5. Human X Rays, 6. 3D Magnetic Skeleton with Labels. USA: 1. Skeleton Floor Puzzle - 15 Pieces , 2. Tuzzles Skeleton Puzzle, 3, Melissa and Doug Human Body Magnetic Dress Up, 4. Mini Skeleton, 5. Human X Rays, 6. 3D Magnetic Skeleton with Labels. We have our mini skeleton on our shelves and I love that it sits next to our globe and other materials. At any time my children can reach for the globe or the skeleton and run their fingers over it, recalling bits and pieces of information they have learnt. We also have some human x-rays which are so good, so much fun to look at. I can only imagine how much fun the broken bone x-rays would be. However today I wanted to share with you an excellent material for learning about skeletons for toddlers and preschoolers. I think this would be a fan-tas-tic material for Montessori toddler groups, preschool classrooms or for the home environment. There are 15 pieces to this floor puzzle, it is foam and pretty easy to put together, and it's LIFE SIZE (4'3" or 129.5cm tall). The children can lie next to it and measure themselves up. See how long or large their bones are. We repeatedly have a blast with this puzzle and with Halloween coming up, I think it's staying out. The Skeleton Floor Puzzle has been provided to us and is now on sale at Child.com.au. Links to US sources are provided above. For older children or simply for the adult to use the correct language, there are labels on the reverse side of each puzzle piece. For those who don't know their Femur from their Tibia and Fibula. It's been really easy to find extension activities for this puzzle. Here Otis is drawing his own skeleton (in his own 4 year old way) on a paper cut out of this own body. And with a bit of blu-tack the skeleton puzzle will stick to the wall (we've put one piece of blu-tack behind the skull and the rest of the skeleton/puzzle has stayed together) and Otis is having a try at naming the separate parts. Thank you to Child.com.au for the Skeleton Floor Puzzle, I love their store, you can currently get 20% off your first order when you sign up (further details are on their site) and their top sellers are now on sale here, 20% off including our lovely tempera painting station and easel. They also have lots of Montessori materials on sale such as the clothes line and trolley and so much more. Are you interested to know what the best selling Montessori books are? I have read and recommended many Montessori books but I was interested to know - what is everyone else reading? It was fun and surprising to see this list. 1. Montessori Letter Work. By Bobby and June George. 2. Montessori from the Start. The Child at Home, from Birth to Age Three. By Paula Polk Lillard and Lynn Lillard Jessen. 3. Teach Me to Do It Myself. 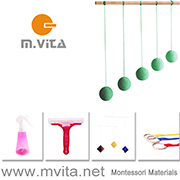 Montessori Activities for You and Your Child. By Maja Pitamic. 4. How to Raise an Amazing Child the Montessori Way. By Tim Seldin. 5. You Say Goodbye and We Say Hello: The Montessori Method for Positive Dementia Care. By Tom and Karen Brenner. 6. Montessori Today. A Comprehensive Approach to Education from Birth to Adulthood. By Paula Polk Lillard. 7. Teaching Montessori in the Home. The Pre-School Years. By Elizabeth G. Hainstock. 8. Montessori Shape Work. By Bobby and June George. 9. The Absorbent Mind. By Maria Montessori. 10. Montessori. A Modern Approach. The Classic Introduction to Montessori for Parents and Teachers. By Paula Polk Lillard. While collating this list I found the best sellers moved around from day to day, the order of this top ten moves around however the books in the top ten have generally stayed the same. I have collated this list using Amazon rankings, based on paperbacks (where there is a choice, all the Montessori Work books are board books only), where the author is Maria Montessori or where Montessori is used in the title. Are your favourites here? Are there any surprises? Cooking with children is something I have always enjoyed and found really natural. However I know some children are not so interested and I know some parents find it too time consuming and messy. Here are my top ten tips for enjoying cooking with kids. Be flexible and casual. Never force or bribe a child to cook. We want them to be engaged and enthusiastic. It's ok to encourage "would you like to pick something out of this recipe book to cook", "do you want to bake banana bread, it's going to be very yummy" but also accept it if the child just isn't interested, don't be offended and don't allow it to put you off from asking again at another time. I always ask my children if they want to participate and very often they don't want to. My four-year old will often come in and out of the process, he will start cooking with me and leave and then come back at a later stage. Where possible I try to make room for him and allow him to participate whenever he is interested. Cooking with children doesn't have to be a formal process, I try to keep it casual and relaxed. I provide daily opportunities and don't leave it to special occasions. Break up the steps to teach skills. Cooking can be fun but also make it an opportunity to teach life skills. Children from a young age can be taught to whisk, peel, or chop, or to grate. It's often easier to set them up at a table or at the kitchen bench and show them just this one skill. Give them a demonstration and see if they are interested in giving it a go. A tray can help to keep it all contained. This can also be very empowering for the child as they can become very capable and very productive in the kitchen. Cook a variety of things, don't make it all about sweets - cookies and cake. Allow the child to experience and participate in preparing meals, chopping up food for salads, make quiche - ensure they are exposed to a healthy amount of variety. It's not necessary to make different foods when cooking with children, consider what you are cooking and see if there is a step the child can participate in. Perhaps the child can scrub potatoes, make a side dish, chop the lettuce, oil the pan. Make things from scratch that you would usually buy pre-made. Things such as bread, pasta, dips, pesto, pasta sauce, jams - occasionally make them from scratch just for the experience, so the child knows first hand how these things are made. This might not sound like fun but if it's a new experience you might enjoy it too - learning together. Things like making pasta can be done in steps. You can make the dough and have it resting then invite the child to roll it out and put it into a pasta machine or cut into ravioli. You can be creative, we've recently tried plaiting and making animal shapes out of bread. If possible allow the child to participate in collecting ingredients - from the garden, from the markets, from the fruit store or supermarket. Teach from farm to plate. Think about child sized materials. It helps if the child has an apron and it can empower them if they have some of their own tools. Tools they can hold such as a small grater or vegetable choppers can be very useful. This will in many cases make it easier for the child to cook, it's easier for them to use and easier for them to have some success. Ensure the child is comfortable physically. I have been known to move all of our ingredients and cook at a low, child size table. This is a really good option as the child can move around, they can reach without a fear of falling, they can run to the refrigerator if they need to collect more ingredients, it can be really freeing and empowering. I love our Fun Pod but also recommend the Learning Tower if you have the space. If the child is using a chair or step stool to reach the kitchen bench, do everything you can to ensure they are safe and can concentrate on their cooking and learning new skills and not spend their energy and concentration on balancing. Cook as you normally would. It doesn't have to be a messy disaster. If you normally clean as you go continue to do this. Don't make cooking with kids any harder than it needs to be. Have your child play with bubbles at the sink while you wash or have them chopping or mashing while you quickly wipe the benches. As much as I can I keep my processes the same, often this just means giving things a quick rise and shoving them in the dishwasher. If the child becomes disinterested I accept that but I want them to experience cooking as it really is - not like the prepared set of a cooking show. Encourage the child as much as possible to participate in the clean up, if there is flour all over the floor give them the dustpan while you sweep, give them a small cloth or sponge so they can clean up next to you. Keep a record of recipes that the child likes especially if they are at the preschool/school age. How about making a recipe book of their own? From the preschool/school age consider pictorial recipes that are really simple where the child can make them mostly themselves. Here is a handmade one which was a success in our home. Experience culture and establish traditions through cooking. Food is a big part of our culture and is also a big part of the exploring other cultures. As much as possible involve and allow the child to participate in the preparation of culturally significant foods. It can also be enjoyable to establish cooking traditions such as Friday night make your own pizza or Taco Tuesdays. Cooking hand made gifts or meals for a special dinner party can be a lovely way of involving the child in an event, seasonal activities or special occasion. Most of all keep it lighthearted and interesting for both of you, ideally we want the child to come back for more and you want to enjoy the process yourself. Cooking with children is a great way to teach life skills, to empower the child and to spend valuable time together. If you would like to share a Montessori inspired environment or activity please feel free to join our weekly Montessori at Home link up below. What can I do with my one year old? Part Two 18-23 months. Following yesterday's post here are a few of the activities I was doing with Otis when he was 18 to 23 months old. Age isn't so relevant, it's only a guide. It depends on what your child finds interesting, what skills they have and what skills they are working on. Children of this age are often more interested in gross motor activities - if your child at this age is more interested in moving and climbing that is totally fine too. Learning to brush teeth (note low mirror). Lots of water play (sponging, pouring, transferring). Washing things (preferably outside with lots of bubbles). Matching model animals to cards. For more activities for this age group you can read all of my Otis 18 to 23 months posts. If you have a child who is almost two years old you might also be interested in the 2 year posts. What can I do with my one year old? Part One 12-18 months. On Monday evening I was listening to a presentation for parents on Montessori in the home regarding practical life. The talk was aimed at school aged children (ages 3+). A friend sitting next to me whispered "but what can I do with my one year old". Heaps! There are heaps of practical life and other Montessori orientated activities you can do at home with your one year old. Here are some examples of the activities I was doing with Otis at twelve to eighteen months. Please use common sense and safety, some children who are mouthing will not be ready to do some of these activities and close supervision is always required. Posting Games (this one is a DIY using an old yoghurt container). Putting things away - putting dirty clothes into basket. Lots of pointing and naming things. Posting with DIY tube and pom poms. Drinking from a (real) glass. For more activities for this age group you can read all of my Otis 12 month and Otis 13-17 month posts. I have also filed Otis' activities month by month from birth two 12 months on my left side bar. I love looking back at these pictures, I really miss the toddler days. I haven't known Megan for a long time however since reading her blog Montessori and Me I really felt a connection to her parenting style. I have found Megan really relatable and down to earth yet inspiring. She writes with real clarity and is passionate about Montessori. Today I am thrilled to share with you Megan and her story. Can you tell us a little about yourself, your family and where you live? I was born and raised in the U.S. While I was studying my degree in Child & Family Development (Human Development) in Georgia, USA. I met my wonderful Aussie husband, Ky-Anh who was there for two years obtaining his post-doc. After I graduated in 2007, I packed my bags and boarded a plane for Sydney, Australia to follow him. I had no idea what was in store for me. It was just pure love that brought me here. Our family now includes the three other loves of our lives: Lachlan (age 6), Noelle (age 4) and Oliver (age 2). My husband is originally from Vietnam (escaping when he was just 7 years old) so our children are 50% Vietnamese, 50% American and 100% Aussie! This mix of heritage is really important to who we are as a family as it shapes our values and belief systems. It certainly makes us more open-minded and I hope, my children more well rounded. Our brood are typical Montessori children: very independent, self-sufficient and love learning. Lachlan our eldest is highly gifted. We do not like to label him as such but sharing our experiences in raising a child with particular traits helps to connect with others in the same boat and offer support. It has certainly helped me assist my clients much better in this area of development. There are a lot of challenges that come from the perfectionism of a gifted or talented child. Even with my degree, I had to seek out additional guidance as typical parenting strategies just were not enough. It was an emotional roller coaster for me from being in denial to worrying about how he will fit in when he is in school and he was only a toddler at that stage! My sister one day said, "Stop being in denial. He's reading and writing at 18 months! You need to stop worrying about the label and focus on supporting him. He couldn't ask for a better mum than you for this!" I woke up and accepted it and was on a mission to find the best way for him to learn and blend in and that was Montessori! He is the 6-9 Cycle right now but spends much of his time with his 9-12 peers too. The teaching staff say the children just love to pick his brain about anything science, his particular interest. He's become a leader socially among his peers and is someone others look up to. It has eased all worries I had in the past. I suppose I thought he might be seen as a black sheep, but I was so incredibly, wrong. In regards to his perfectionism, he now sees making a mistake as a learning opportunity, which is exactly what we were hoping for. We had to make a conscientious effort to foster this. My sister sent him the book, Beautiful Oops! when he was two years old and it helped achieve this goal so much. Our daughter Noelle is the creative one. Put a large amount of art media in front of her and she is as happy as a clam. She's very soft spoken; a little "Snow White." Animals and insects just make their way to her. She is such a nurturing, gentle soul and a true daydreamer. She has an amazing talent for storytelling and writes very amusing plays and songs to share with all of us. And Oliver... he is your typical third! He is active, energetic and full of life. The other two were so placid and we have never seen that with him. He keeps me on my toes. However, when he finds something he wants to engage with he will sit for a very long time in full concentration. He is fixated with the Solar System at the moment! As for me, I am really passionate about my work as a developmental specialist. I own a small practice in Sydney called Growing Minds. I feel really blessed to have the education that I do. My degree encompasses development of the life cycle from prenatal to the aging adult. It examines nutrition, psychology, family systems and pedagogy, to name a few. It compliments so many of the ideas of Dr. Maria Montessori. She was one of the rare doctors that often would write a prescription of new routines and contributions for different members in the family to help support the pateint's recovery. It is a very broad and wholistic way of examining the development of individuals. You are one of the few Montessori parents I know who were trained in Montessori including 0-3 before becoming a parent. How do you feel your training influenced your parenting especially in the infant/toddler stage? My Montessori experiences and training have certainly influenced my parenting in so many ways. I didn't really get the breadth of my training until after I had Lachlan. At that time, for work, I was researching both Reggio Emilia and Montessori pedagogy after spending a little time in Italy. The "Italian experience" was my first real eye opener on how interactions with children should be. While traveling around Italy and examining their education systems and family dynamics I was just mesmerised! The importance and value they put on children is such a gold standard compared to the US and Australia. They really believe that children should be seen and heard. I would see it on the streets when a new baby was born and out for his first walk in the pram. The mum could only go a few paces before someone would pass her and want to meet the baby. This little bub would be unwrapped and picked up each time from the blankets, whether sleeping or not to meet each passerby in the community.Every person welcomed the child in a way that a grandparent or uncle would; with such warmth and hope for who the child will become. I would see subway walls and even theatre curtains all designed by the children in the local schools. It just felt like how all children should be living their lives: valued members of society. I wanted to take that experience home with me and I just immersed myself even more into Montessori training; formal and informal. It began for parenting purposes with Lachlan but I soon realised I couldn't run my consultancies without sharing Montessori. It was forever embedded in me. By the time my second and third children were born I was well established with my Montessori practices. It is wonderful seeing them grow in confidence from all the independence and freedom of movement from birth. Of course being a "Montessori Parent" can seem so strange to those around you who have never heard of the Approach. It was hard for others to keep their hands out of our toddlers' processes to feed or get dressed. I am sure that a number of family and friends thought it was a bit cruel to make our 15 month old prepare his own fruit for lunch or put on his own socks. They just couldn't see that our children desire to do the tasks. I do love the look on the adult's face of amazement after they witness the child's success. It makes any external clashes so worth it! And of course it is always so rewarding when you unintentionally win people over to this way of parenting and education. I still beam from ear to ear when people tell me they are considering looking into Montessori. Did you do your training in the US and if so can you comment how or if you noticed a difference in Montessori parenting in the US compared to Australia? My formal 0-3 training is from North America and 3-6 training I did right here in Australia, through Montessori Australia Foundation. However, I use every opportunity I can to observe other 0-3 programs. I do a lot of extra shadowing work through connections with the numerous AMI Directresses here in Sydney. It is really the best informal training. I love to gain their perspectives and vice versa. It is nice to be part of such a supportive professional community. I don't think I will ever stop seeking training! I think parenting is very similar between the two countries. We all have the same hopes and worries for our children. I think the main differences come down to politics and regulatory standards which affect the quality of life parents can offer their children. With things in Australia like our universal healthcare, parental leave schemes, paid holidays and childcare rebate and benefits, it already gives parents a better advantage on their parenting journey to provide for their children. Montessori education can even become an option for many if a preschool is registered for the Childcare Rebate. It can be done while still providing authentic Montessori education, so I hope more schools will do so to allow more opportunities for all families. Quite frankly, if the opportunity is there, I believe as educators we have a duty to make it happen. I hope more Montessori schools will register. On the other hand, when it comes to mainstream child care standards, we are really lagging behind in Australia. This puts stress on parents when having to go back to work and choose child care. So many of my clients and friends have switched childcares several times before they can find the right fit. This happens everywhere in the world of course, but I do not feel that our early child care programs and educators are well supported; training-wise and financially. It was the first thing that I noticed when I moved to Sydney and took my first job as a Director at a traditional long day care. Other overseas professionals who visit for research or consulting make similar comments. We have a very long way to go to change the quality of care for young children in this country. We just do not seem to be progressing enough. I believe it can be done, but I think that Australians are still trying to find their voice. My hope is eventually it will be loud and heard. This is one of the reasons I love Montessori. It is a progressive education that has lasted over a century! The emphasis on educating parents really provides much needed support at home. This is true in any country where you find a Montessori school. It is comforting to know that you can walk into any AMI recognised school in the world and find the same materials and values in education. This really eases any parents mind. Another difference I really notice when travelling between the two countries with our children is the public facilities for families. We are spoiled (and rightfully so!) in Australia with many shopping centres purpose built to attract and provide simple conveniences for parents and their children. In Australia (at least where I live) we have fantastic parenting rooms with separate breast feeding booths for each person, sometimes each equipped with a TV and wall mount activity board to occupy your other child. The many nappy changing stations and small kitchens with sink and microwave for feeding prep help many parents when out and about. I found it really frustrating when I went back home to the States after becoming a parent for the first time and could not find any place designated for breastfeeding. Often I had to just sit out on a bench in the middle of the shopping mall while people walked by. I never sensed that my fellow-Americans are as comfy with breast-feeding in public as in Australia. I mean, in Sydney I can lay on the beach with my top off if I want, I would never do that back home! I felt at times people didn't appreciate my child feeding so openly. Perhaps, I was a new parent and more self-conscious then and I have it all wrong. I would love some thought on this from your readers! There is comfort in Australia knowing that I can breastfeed anywhere I want in public by law. You have some really thoughtful parenting posts on your blog, how do you do it? How do you find time to observe and be present when you are meeting the needs of three children? First, thank you for reading and allowing me to share my journey with you. Those types of posts really show the true essence of our home. I have to be honest though and say that being present is a work in progress. Like the child, we never stop growing. I am constantly evolving as a parent. I have always been a really conscientious person. I think it is just in my nature; one of the reason I worked as a research scientist in my field. I really enjoy observing and there is no better joy than watching your own child discover the world. We have to be able to do that to be present. Before I was a mum I practiced yoga and meditation regularly. I connected with nature daily and fed my soul all it needed to thrive. However, after becoming a parent all of that somehow just went to the back burner. My story is the same as so many parents: you end up putting your children's needs first and often forget about your own. I was so happy and focused on being a mum, I didn't even realise that there was another part of me that was diminishing. Last year, when Oliver was one year old, I completely burned out. I was worn down so much I lost a lot of weight, developed health issues and found myself in the emergency room with a panic attack. I was so far removed from that yoga-zen chic I was 5 years before. It was a major wake up call for me and also for my family and friends who thought that I was some sort of super mum, always coping so well. The truth was I wasn't, but I even had myself fooled! I really didn't know how to take care of myself after putting everyone first for so long. It felt selfish and self-serving. Yet, if I didn't I was a hypocrite. How could I not take my own advice that I give to my friends and clients. So I decided then and there that I was going to regain control of my life. I was going to give the gift of "myself" back and that would be the best gift I could give my children. I talk more about that journey in my post Becoming the Parent You Want to Be . So earlier this year, I resigned from my roles as Directress of a Parent-Toddler Program and Nido Program. I began those programs myself from the ground up so it was a hard thing to let go. However, I knew that my Montessori journey would continue, just at a different capacity. With less responsibilities on my mind, it makes it easier to give my attention to my children. I set specific times to write my blog, Montessori and Me and to work on any continuing education. I turn off my phone, shut down my laptop and really look into the eyes of my children when they are speaking to me--this is so important! I want them to know that when it is our time together, they have all of me and I value their presence in my life. Our school weeks are logistic nightmares with children at two different schools and a half day pickup for one, plus a few activities after school. I look at that time so differently now. I turn that into quality time and use it to our advantage. If one child is swimming, I converse with the other two, read or play tic-tac-toe. No devices. Waiting time becomes "us" time. It makes a big difference. We all benefit from connecting during these times. I am happy to say that all three children will be at one school next year so that will give us some time back. Can you tell us about your Montessori work in a professional capacity? Do you work with educators and parents? As mentioned, I was Directress of both a Toddler and Infant (Nido) program at our local Montessori school. Because of my background, I am passionate about educating parents to ensure they feel empowered; I made this a key component in both of the programs. I particularly enjoyed my time in Nido as the sessions were the parents first step on their Montessori journey. It was so rewarding to guide the families through their parenting challenges and but also witness their triumphs as well. It allowed me the opportunity to see these parents grow and mature with confidence. Sharing the Montessori perspective with them was such a wonderful gift. While I was there to educate parents, I took away so much from my interactions with the families and infants. Currently I have some exciting plans in the works to offer my wholisitc approach of development in a Montessori setting to support parents and children once again while also reaching out to the local community. I will keep you posted! Right now I am keeping busy doing parenting consults and workshops and also training early childhood professionals. I love training traditional carers because it gives me the opportunity to share the ideas of Montessori from independence to freedom of movement with them. It is a wonderful feeling when a participant e-mails me a month later and says that they have removed high chairs from their long day care or have now introduced food prep. I think the best feedback I received was a woman who told be that she now allowed the toddlers in her care the freedom to choose toys from the shelf. That alone can transform a child's world of learning. Can you describe your at home approach to Montessori and how does it impact your everyday living? Well, Montessori is our everyday living! We certainly see it as an "education for life." We are all driven by these desires to self-master and be independent. Our home is set up to cater to this regardless of age. We are in some great stages with our children right now, one in each of the first three Montessori cycles: 0-3, 3-6 and 6-9. Each of them is developing something really different at the moment. Lachlan is thinking much more in the abstract and obsessed with chemistry and physics. The independence and problem-solving allows him to research a lot of things on his own and plan ahead for what he would like to learn next. I feel more like a librarian; providing him with the right resources to achieve his goals. While Noelle is really growing in her social-emotional development at the moment; her confidence and communication with others has blossomed tremendously the last few months. Oliver is in a huge sensitive period for language. I am always amazed by the vast amount of new words he speaks each day. I prepare the environment to ensure their needs are well met in these areas. Since all my children have a strong passion for reading, I support their interests with a lot of books! The Approach is a part of everything from getting dressed in the morning, making lunches, problem-solving and simple grace and courtesies. My children certainly recognise these needs not just in themselves but in their siblings. Montessori is just natural! I always talk about getting back to our roots, back to the basics.This is Montessori. It is simply allowing children to develop the way nature intended. I am not sure how life would be for us without Montessori. With young children, I would feel so overwhelmed if I had to do everything for them. It has always been a relief knowing that if I was breastfeeding one, my 4 year old could make his own sandwich if he was hungry or my toddler could help herself to the potty. The family system as a whole just works so much better. We all know each other's capabilities and expectations. There is security and comfort in this. Where do you get your ideas and inspiration from? Are there any resources such as books, websites, blogs that you could recommend? My inspirations come from my own children, my husband and the families that I am blessed to work with. They all challenge me with their thoughts and questions. It motivates me to research more and as a result I become a better parent, professional and person in general. I also stay connected with others in my field. Montessori professionals seem to gravitate towards each other for life, I think. We find great encouragement from one another. A big challenge at the moment is keeping up with the modern world and still being true to Montessori. I belong to a Montessori Research Network where we discuss topics like these. I gain so many insights and perspectives to help me form my own opinions. My favourite book that I refer to time after time is Understanding the Human Being by Silvana Quattrocchi Montanaro. It is usually my gift of choice for new parents. That along with Montessori from the Start by Paula Polk Lillard and Lynn Lillard Jessen are must reads for anyone that has been a part of my programs. I also pick up from time to time the sweet, little poetic read from Aline Wolf, Look at the Child. As far as books from Dr. Maria Montessori herself, I really like The Child in the Family and also The Secrets of Childhood. Blogs such as yours with great visuals are wonderful as a simple photo can tell a story or spark an idea; great for a time poor mum, like me who may not be able to sit and read the whole post. On instagram I enjoy following Our Montessori Life. We seem to have similar thoughts about reconnecting with our children and to nature so they speak to me as a parent. Following other professionals is fun too such as Montessori Toddler. It is so interesting to take a peek into other Toddler Programs; a wonderful advantage of social media. I can be found on instagram at montessori_and_me and also on Facebook. 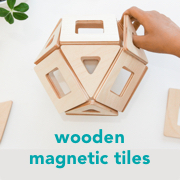 Finally do you have any tips or suggestions for parents beginning Montessori in the home? What are the key elements you have found useful that you can recommend? If someone is new to Montessori, the best advice I can give is to not worry about doing a whole house of lifestyle transformation in a weekend. Start slowly from one area to the next. Focus on practical life starting with meal times. Invest in a sturdy stool for the kitchen and a small table and chair. Those items alone will open up so many opportunities for independence. Making a list of your daily routine and examining what things you know your child can or could do independently with the right set up is helpful. You can start gradually preparing an environment that will foster his development with little hindrance for an adult. If your child attends a Montessori school, trust the quality of care that he is in. There is no need to replicate the classroom into your home. Remember that a Montessori Directress is specifically trained to use the materials in her classroom and all the extensions that stem from them. Children engage for an uninterrupted cycle at school and they work hard! They want to return home to unwind and free up their mind a bit, just like you after a long day. If they are not as excited about some new material you purchased or made, it is probably because you have chosen a great school that has fed their brains all day; one reason Montessori schools have a different definition to "home work." Home should be a place to freely play, create and bond with family. This time can be used to further explore interests by going to the library or a museum. I see many families who spend a lot of time purchasing or making materials for their children at home, which could be used in the child's classroom. While I admire the dedication and thought that this takes, I also remember that our time is precious as parents. I might make a few resources up from time to time on hard to find subjects, (more for the toddler stage) but I really leave the rest of that for their teachers, who do it beautifully. I do not want to be cutting and laminating activities for them when we could be baking or going on a nature walk. Instead, I communicate with their teachers about their home interests and they will expand upon that more at school or perhaps take out certain materials. For example, Lachlan likes to work with the periodic table so his teachers designed a huge, moveable one as a work tray available for all the students. I donated a wall poster as a reference and it sparked the curiosity of other children as well, a beautiful thing. The school choir even ended up singing the Periodic Table of Elements song for the Soiree last term! The teachers want your child to succeed so share your thoughts. Montessori schools strive for a strong, involved parent community, so use it your family's advantage and your child will reap the rewards. When I talk to adults who were Montessori children, they look back on their time in school and can actually see and feel the materials in their hands just by thinking about them. They say sometimes if they have to recall a skill they haven't used in awhile, they can visualise the material and it helps them. The sensory experience of hands on learning is forever imprinted. They take this away with them after they leave school and have it for life. However, when your children look back on their time with you as a parent and the moments that you shared, I am quite sure it will not be what was on their shelves at home; it will be the feeling they got from spending time with you. Perhaps it will be a song you always share, or the softness of your hands, or the smell of your shirt. These are the things that last and come out of quality time together. I just try to remember that the best I can offer often comes from the most simple, ordinary things. If we look to the child and follow his lead we can see this very clearly. You can read Megan's blog Montessori and Me, follow her on Instagram and Facebook. Thank you so much to Megan for taking the time to share with us and for her ongoing contribution to Montessori in Australia. It is so important that as Montessori parents we keep on sharing, supporting and uplifting each other. It is also really important that there are images and discussion on what Montessori in the home can look like and Megan is an excellent example. Where do we store materials that are out of rotation, when they are not on the children's shelves? Most of our materials are stored in this large cupboard. The materials are not categorised however like materials are stored with like. The drawers are not packed but each has materials in them. It's really good to have a defined area like this. If the materials don't fit then we have too many things. Large items which don't fit in these drawers go in our storage room, but there are only a couple of Montessorish items in there. We purchased this cupboard originally for Caspar's nursery and it's had a lot of uses. In this house our removalists wouldn't take it up stairs so it is left downstairs for us to make the most of. You can see the boys have open access to this storage area and the top surface can become a dumping ground for materials not properly put away. Overall this area works for us. Otis can still find and get out his materials if he is looking for something specific. Yet it's still manageable mess wise. All of our books are stored in this built in storage area in a spare bedroom wardrobe. Otis can easily access the first two shelves. He can make a mess here too and pull out too many books. However again it's still manageable. The third shelf up contains Caspar's chapter books and more of the higher level reading and there are more books stored on the top level. The books are not specifically sorted however Otis don't have too much trouble finding the book he wants at any time. We still have all of our board books here, they are good for my beginner reader. We have some board games stored in our laundry shelving and most of the other materials are in use. No real storage secrets or ideas. Just some practical storage areas that are easy to manage and still accessible.